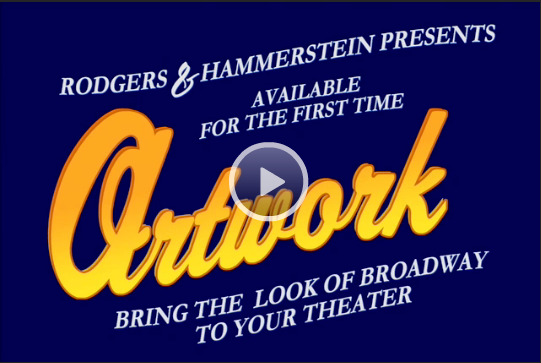 Your favorite musicals now have brand-new iconic artwork, bringing the professional look of Broadway straight to your theater. 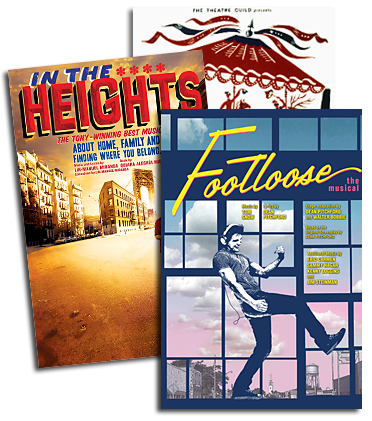 For the first time ever, Rodgers & Hammerstein offers you show posters, print ads, Facebook graphics, and marketing materials - all available in customizable formats. This new official artwork gives a modern look to the classic R&H shows, drawing from the notability of historic images and provides an affordable alternative to hiring your own designer. At clear, high resolutions, these graphics give you broad flexibility for edits, and come in even larger formats by specific request. So how can this artwork be customized to fit your production? If your theater uses Adobe Photoshop, layered graphic files will give you full editing capability, as well as guiding notes. The graphic elements separate, letting you rearrange design components while cropping or resizing the image. Each show's iconic title treatment can be used by itself, or paired with other parts of the poster. Add the title treatment to your production photos, for an even more personalized look. But even without Photoshop, flat images are available. We designed these flat graphics to let you customize them with even the simplest free paint or photo editing program. You can type over the graphics to add show dates, directions, and other essential information. All artwork files come with detailed step-by-step text and video instructions. 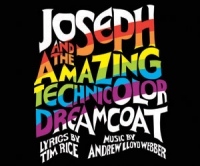 Whether your choose our versatile layered artwork or our easy-to-edit flattened files, Rodgers & Hammerstein offers you simple execution for a look that will dazzle your fans. Do Not See Your Show? Select artwork to see description.